Philippa Hanna is on a mission that's out of this world. The MissionPhilippa Hanna is on a mission that's out of this world. Since helping to launch Rocket Fuel in 2014 my fans have been amazing. You've enabled us to make records, facilitated tours and helped us to travel to over a dozen countries to tell the people of planet earth that they too are AMAZING. Purchasing a range of exclusive merchandise and experiences. Address Line 1 Address Line 2 Town/City Postcode Country AfghanistanAlbaniaAlgeriaAmerican SamoaAndorraAngolaAnguillaAntarcticaAntigua and/or BarbudaArgentinaArmeniaArubaAustraliaAustriaAzerbaijanBahamasBahrainBangladeshBarbadosBelarusBelgiumBelizeBeninBermudaBhutanBoliviaBosnia and HerzegovinaBotswanaBouvet IslandBrazilBritish lndian Ocean TerritoryBrunei DarussalamBulgariaBurkina FasoBurundiCambodiaCameroonCanadaCape VerdeCayman IslandsCentral African RepublicChadChileChinaChristmas IslandCocos (Keeling) IslandsColombiaComorosCongoCook IslandsCosta RicaCroatiaCubaCyprusCzech RepublicDenmarkDjiboutiDominicaDominican RepublicEast TimorEcuadorEgyptEl SalvadorEquatorial GuineaEritreaEstoniaEthiopiaFalkland Islands (Malvinas)Faroe IslandsFijiFinlandFranceFrance, MetropolitanFrench GuianaFrench PolynesiaFrench Southern TerritoriesGabonGambiaGeorgiaGermanyGhanaGibraltarGreeceGreenlandGrenadaGuadeloupeGuamGuatemalaGuineaGuinea-BissauGuyanaHaitiHeard and Mc Donald IslandsHondurasHong KongHungaryIcelandIndiaIndonesiaIran (Islamic Republic of)IraqIrelandIsraelItalyIvory CoastJamaicaJapanJordanKazakhstanKenyaKiribatiKorea, Democratic People's Republic ofKorea, Republic ofKosovoKuwaitKyrgyzstanLao People's Democratic RepublicLatviaLebanonLesothoLiberiaLibyan Arab JamahiriyaLiechtensteinLithuaniaLuxembourgMacauMacedoniaMadagascarMalawiMalaysiaMaldivesMaliMaltaMarshall IslandsMartiniqueMauritaniaMauritiusMayotteMexicoMicronesia, Federated States ofMoldova, Republic ofMonacoMongoliaMontenegroMontserratMoroccoMozambiqueMyanmarNamibiaNauruNepalNetherlandsNetherlands AntillesNew CaledoniaNew ZealandNicaraguaNigerNigeriaNiueNorfork IslandNorthern Mariana IslandsNorwayOmanPakistanPalauPanamaPapua New GuineaParaguayPeruPhilippinesPitcairnPolandPortugalPuerto RicoQatarReunionRomaniaRussian FederationRwandaSaint Kitts and NevisSaint LuciaSaint Vincent and the GrenadinesSamoaSan MarinoSao Tome and PrincipeSaudi ArabiaSenegalSerbiaSeychellesSierra LeoneSingaporeSlovakiaSloveniaSolomon IslandsSomaliaSouth AfricaSouth Georgia South Sandwich IslandsSpainSri LankaSt. HelenaSt. Pierre and MiquelonSudanSurinameSvalbarn and Jan Mayen IslandsSwazilandSwedenSwitzerlandSyrian Arab RepublicTaiwanTajikistanTanzania, United Republic ofThailandTogoTokelauTongaTrinidad and TobagoTunisiaTurkeyTurkmenistanTurks and Caicos IslandsTuvaluUgandaUkraineUnited Arab EmiratesUnited KingdomUnited States minor outlying islandsUnited States of America (USA)UruguayUzbekistanVanuatuVatican City StateVenezuelaVietnamVirgin Islands (British)Virgin Islands (U.S.)Wallis and Futuna IslandsWestern SaharaYemenYugoslaviaZaireZambiaZimbabwe Home phone Mobile number I consent to Philippa Hanna sending me marketing emails. 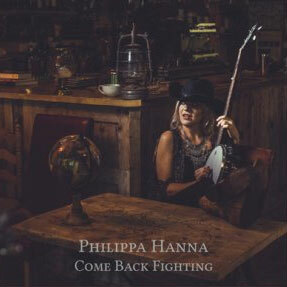 Thank you for supporting Philippa Hanna! Since her 2007 debut, Philippa has released several studio albums, a live DVD, and published two autobiographical books. 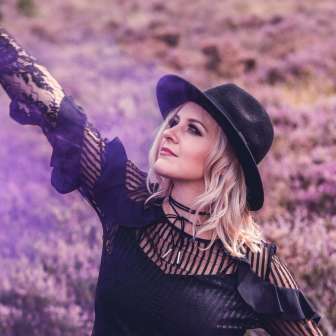 As one of the most sought-after acoustic performers in the UK, she has opened tours for acts including Little Mix, Lionel Richie, Leona Lewis, Anastacia, Wet Wet Wet and Collabro. Her latest album, Come Back Fighting is set for release on November 24th 2017 amidst opening a formidable 29 date tour for BGT winning vocal group Collabro. With much of the album written in Nashville, Philippa has brought together a range of pop, country and gospel influences, assembling an impressive collection of musicians. From the acoustic-reggae-infused Dorothy to the hard-hitting bluesy title track Come Back Fighting, listeners can expect to be drawn into the storytelling narrative that has put Hanna on the singer-songwriter map.